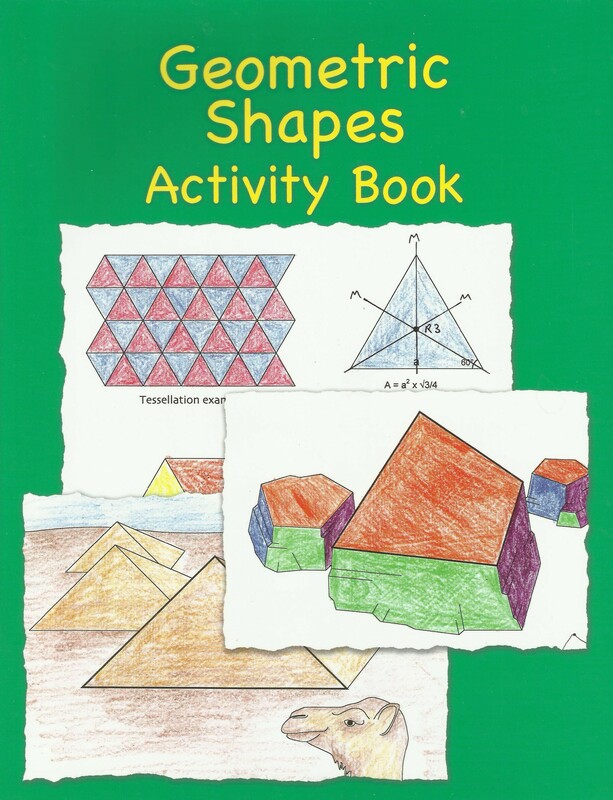 This book contains two pages of background material about geometric shapes, an activities example page, plus two dozen 8.5" x 11" pages of different geometric shapes. Each shape is incorporated in a larger drawing showing an example of the shape in the real world or its use in a geometric design. There are six activities that may be performed for each page: 1. Colouring the large geometric shape and drawing incorporating it. 2. Drawing the geometric shape, first by using the dots provided in the lower right corner for guidance, and then freehand. 3. Writing out the name of the shape, and learning to pronounce and spell it. 4. Colouring the tessellation example. 5. Marking the rotational and mirror symmetries of the shape on the drawing in the upper right corner. 6. Measuring the dimensions of the shape in the upper right drawing and using them to calculate the perimeter or area.